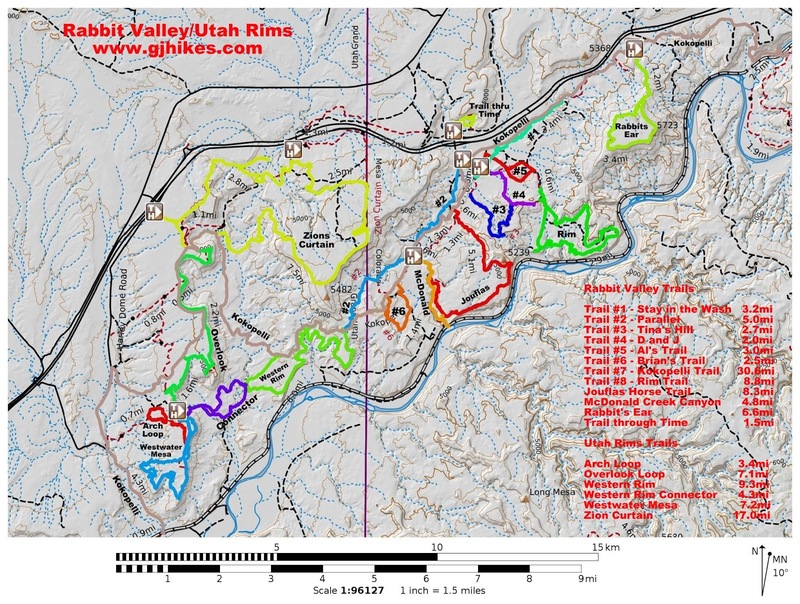 Trail #5 is located in the Rabbit Valley Area of the McInnis Canyons National Conservation Area near the Colorado/Utah state line west of Grand Junction, Colorado. On some maps Trail #5 is also labeled as Al's Trail. The trail serves mostly as an alternate route for sections of Trail #4. 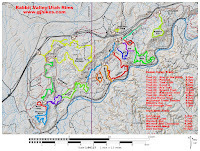 Its gentle hills make it an easy trail for beginner level OHV and mountain bike riders as well as a nice family hike if the weather isn't too hot. 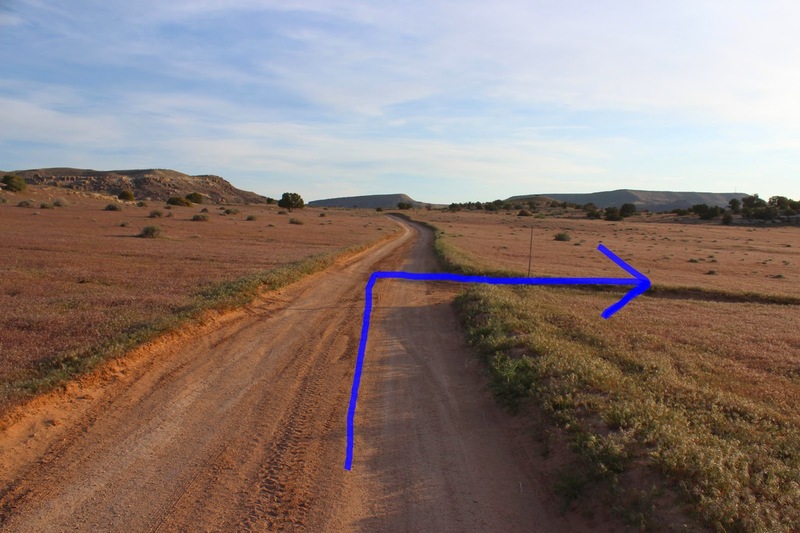 This post begins at the OHV Training Track just east of the Mountain Bike Staging Area. From Exit #2 on Interstate 70 drive south on the Rabbit Valley Road turning left at the first intersection. 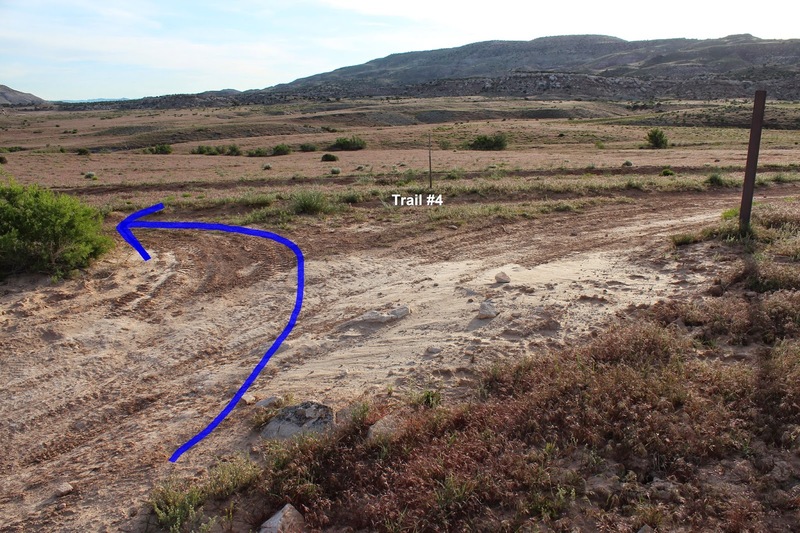 Continue past the Mountain Bike Staging Area and watch for a sign on your right for the OHV Training Track. Trail #5 begins just over a quarter mile east of the OHV Training Track so we get back out on the road and head off in that direction. 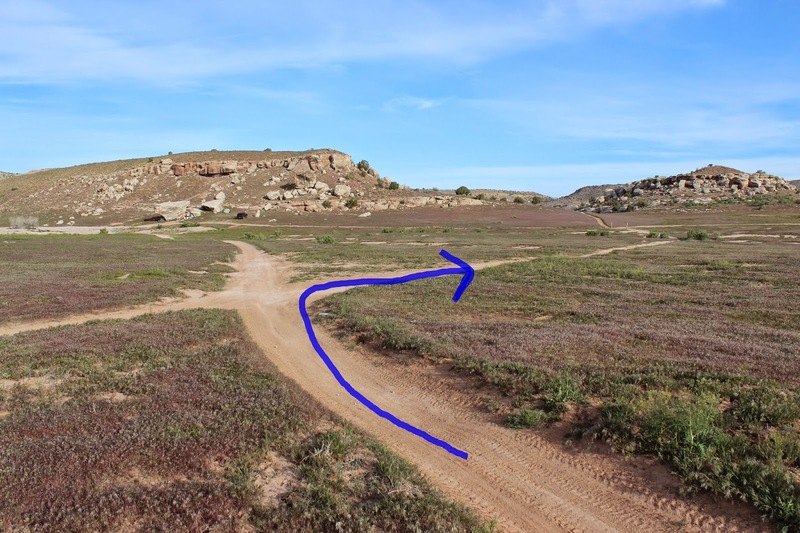 An alternate route would be to go behind the training track and take the Stay in the Wash trail to Trail #5. A small herd of antelope were watching from the top of the hill on this morning. After passing several primitive campsites Trail #5 departs on the right side of the road. After a short distance it crosses Trail #1, the Stay in the Wash Trail. From there it climbs a gentle rise and passes between two hills. After crossing another road that leads to several more primitive campsites Trail #5 crosses a branch of Trail #4. This is where our loop begins for this post. Trail #5 continues toward the south a short distance and then turns east and passes through a couple of other hills. The next junction marks the end of Trail #5. From here we follow Trail #4 back around the other side of the hill. At the close of the loop it is just a matter of retracing steps to get back to the trailhead. An alternate and shorter route at this point would be to continue hiking straight ahead on Trail #4 to get back to the trailhead. If you click on the picture you should be able to see some people camping next to a large boulder. This is just an example of one of the many primitive campsites in Rabbit Valley. Rabbit Valley has a good splattering of vault toilets but for some of these primitive sites you may want to bring your own portable potty. The camping is all free so that is a nice plus. If they were to add a lot of amenities they would probably have to start charging a fee. This parking area can get busy at times with families with smaller children that take turns helping the little ones ride around the training track while they ride the other trails. There is also a ramp here for loading and unloading. The nearest toilet is at the Mountain Bike Staging Area about a quarter mile away. 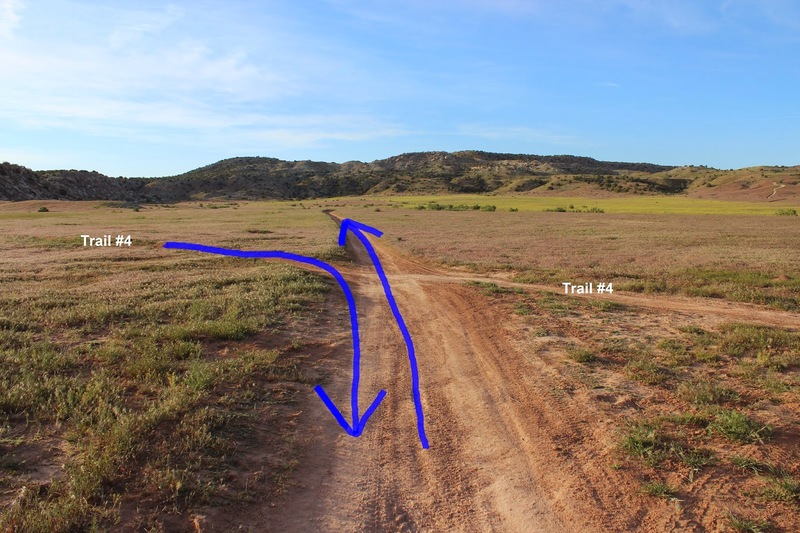 As you can see, Trail #5 can be combined in different ways with Trail #4 and Trail #1 for some variety. If you would like to see it for yourself then all you have to do is grab your bike or 'Take a hike'.